Personnel/Administrative chiefs perform supervisory duties as midlevel office managers in a variety of administrative assignments. Personnel/ administrative chiefs must possess a thorough knowledge of the capabilities and requirements of Marine Corps standard word processing and database software packages, and the Marine Corps Total Force System (MCTFS), which encompasses the Online Diary System (OLDS), and the Unit Diary/Marine Integrated Personnel System (UD/MIPS). Normally, personnel/administrative chiefs are assigned at the reporting unit level, to include consolidated administration centers, adjutants office, staff level billets, i.e., HQMC staff section, G-1/S-1, etc., or independent duty in an administrative billet. Personnel/Administrative chiefs must have an overall knowledge of personnel (general and operational) administration procedures to establish, direct, and supervise the administrative functions of the office to which assigned. The personnel/administrative chief must maintain technical proficiency in the duties performed by Marines in MOSs 0121, and 0151. When assigned to staff billets, personnel/administrative chiefs supervise the flow of paperwork to ensure proper staffing of all inbound and outbound correspondence, drafting/publishing, and supervising the maintenance and distribution of directives and correspondence. All Marines are expected to qualify for this MOS by completing the advanced Personnel Administration Course conducted at MCB Camp Lejeune, NC. When a Marine is unable to attend this course prior to promotion to staff sergeant, MOS 0193 may be assigned at the commander's discretion if the Marine has demonstrated proficiency in the duties and tasks identified in MCO 1510.53. 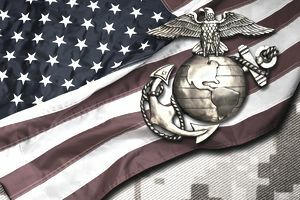 Upon promotion to staff sergeant, assignment of MOS 0193 does not exempt the Marine from attendance and completion of the Advanced Personnel Administration Course. This MOS will not be assigned to Marines below the rank of staff sergeant. Must have previously served in MOS 0121 or 0151. For a complete listing of duties and tasks, refer to MCO 1510.53, Individual Training standards.